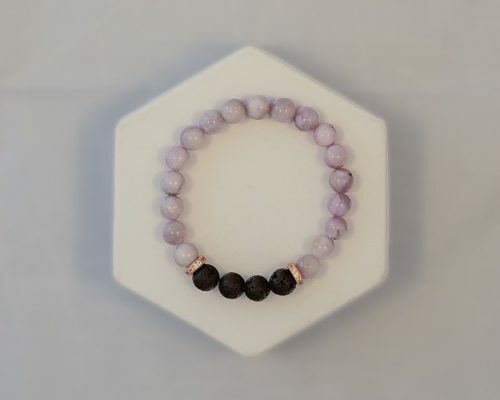 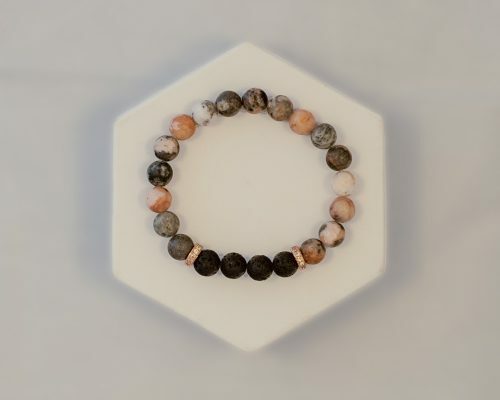 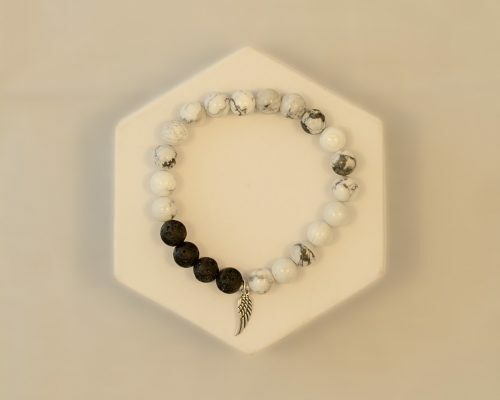 This essential oil bracelet is made from lava stones from Bali and Tourmaline (Tourmaline has many different energies making it an amazing companion to everyday life. 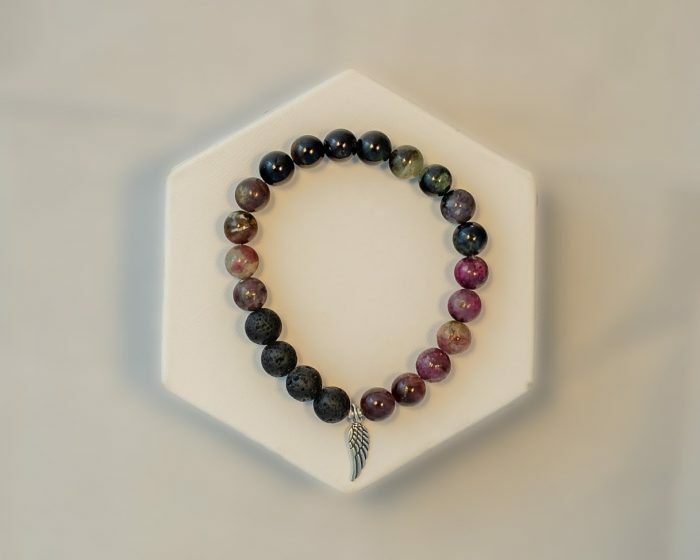 Tourmaline has been said to represent compassion and is worn to promote patience, love and understanding.). 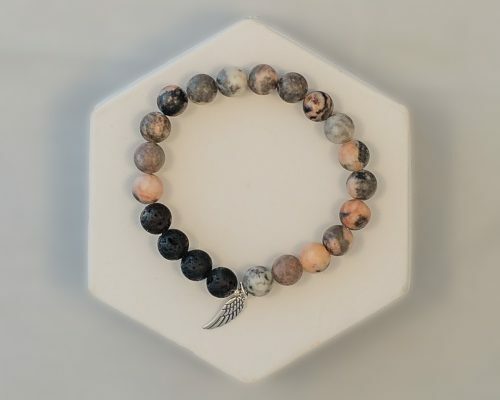 Attached to the bracelet is a delicate angel wing charm made from sterling silver – a perfect reminder that the purchase of this bracelet will lift someone’s burdens.